260113 2013 Munster GAA McGrath Football Final Tipperary v Kerry . 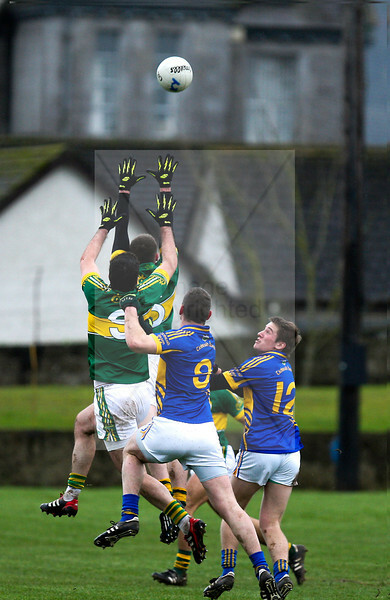 Tipperary's Lorcan Egan and Bill Maher challenge Kerry for the high ball. Photo Andy Jay.